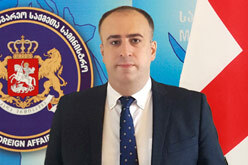 The Georgian Foreign Ministry is deeply concerned by the resumption of the illegal activities of Russian occupation forces along the occupation line in the Tskhinvali region. In the last few days, the Russian occupation troops have resumed the erection of barbed-wire fences in areas close to the villages of Ghogheti and Atotshi (Kareli district). It needs to be considered that the installation of such fences in the occupied Tskhinvali region had been suspended for the past two weeks. Regrettably, and despite numerous calls by the international community, the Russian Federation is continuing to violate fundamental principles of international law as well as the commitments it undertook under the 12 August 2008 Cease-fire Agreement. The Georgian Government strictly condemns Russia's illegal actions, which have a negative impact on the humanitarian situation of the local population and significantly restrict their internationally recognized rights-including the right to free movement, to education in their native language, and other economic, cultural and social rights. Unfortunately, the local population has been prevented from carrying out agricultural work and gaining access to cemeteries and emergency medical services. The critical nature of the situation in Georgia's occupied regions and adjacent areas once again underlines the importance of the need to establish international mechanisms for monitoring security and human rights therein. The Georgian Foreign Ministry calls upon the international community to adequately assess the current situation in Georgia's occupied territories, and to undertake effective measures to put a stop to Russia's illegal activities.